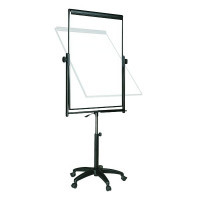 The Bi-Office Performer Flipchart Easel is easy to use, simply place your flipchart pad into the flip-up clamp and position the board angle to suit you. The gas-assisted height adjustment lets you find the perfect position to help you concentrate on delivering a great presentation or meeting. 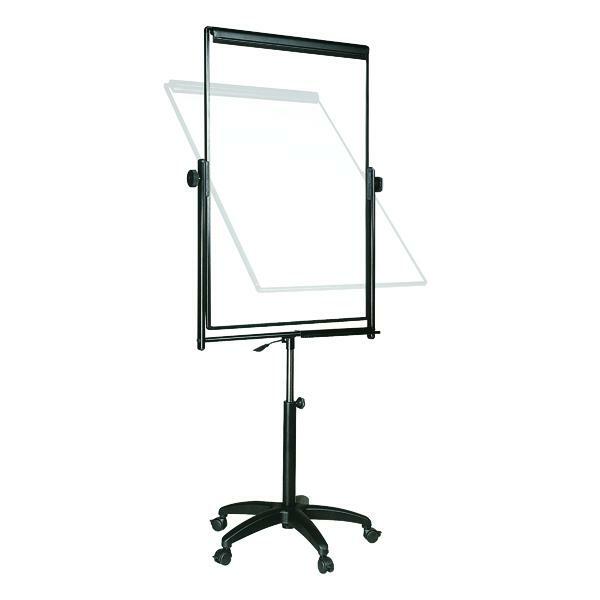 The stable five-castor base allows for easy movement around the office and can be locked to keep the easel secure in one spot. This item comes complete with dimensions of 600 x 900mm.